Diagnosed with dementia in 1997, my husband, Jim, lived at home during his illness and died there in January 2006. I wish this story were fiction, but it is not. DIGNIFYING DEMENTIA is both a love story and an attempt to reach out to others who are living through or who will live through a similar tragedy. The diagnostic process I describe was painful and disappointing; perhaps someone else’s caregiving experience might be easier. Caring for Jim was exhausting; perhaps someone else’s might be less draining. Watching someone lose his or her mind and body is not polite. It is rude and mean-spirited. Dementia brutalized Jim and stole the love of my life from me. It altered him, us and me. I have known Elizabeth for several years. After being a chiropractor for 30 years, a hospice volunteer for 18 years and most recently lost my mother to frontal temporal dementia, I found her book to be very powerful and a definite read for anyone. A beautifully, well written story of two people who were madly in love and chose not to dismiss each other through this incredible journey. Instead Elizabeth took the bull by the horns and provided the best loving care Jim could receive. This journey was not easy but they did it. I read the book in one day. I put it down and had to pick it right back up and did not put it back down till I finished it. It touched my heart forever. I laughed and cried with Elizabeth through this experience of the heart. Every medical person needs to read this book to understand the physical and mental struggle that Elizabeth and others go through to survive dementia. Great book. I loved Elizabeth's book. I feel it is a must read for anyone facing the incredible hurdles associated with Jim's disease and related diseases. ET would often relate her problems and the obstacles she faced but I never really understood until I read the manuscript! Physicians and caregivers alike would benefit from reading this book. People need insight in regard to how to deal with issues when they arise. DIGNIFYING DEMENTIA lets people know they are not alone and also illustrates choices that can be made to give everyone involved dignity. I love the cover - it looks great. It is quite ironic - the cover is very serene but the story is just the opposite. Elizabeth takes you into the depths of care giving and into the meaning of love. I finally finished reading your book. I feel I know you so much better now; you are a very brave person. Many wives love their husbands, but you truly went the extra mile. Thank you for allowing me to glimpse at your soul. It is one thing to read a book like this when written by a stranger - quite another when you know the author. Eiran Gazit, Gazit Consultants, Inc. This deeply personal saga is a memoir of love and almost impossible dedication, a true-to-life guide for those fated into the caregivers league, and a documentation of both the helpfulness and hurts that are hurled from all levels of medical care. It is a guide none of us wishes to need, but a comforting resource in a time of crisis. I know many people who have loved ones either suffering from dementia or have lost loved ones to this illness. Each time I speak to one of these people I sense an inability to express the deep grief that precedes the eventual passing of the afflicted person. Dr. Tierney has given a voice to that grief and in doing so the burden of acceptance is made lighter. I lost my mother to dementia. I had to find a way to accept her condition, to accept her failure to know who I was at times and to accept the realization that she would pass from this life in a state of confusion and terror with no peace. Dr. Tierney's story and expression of love that defies the inhumanity of this illness offers us all that voice. I read the book in one uninterrupted sitting - it was so powerful, such a special love story and tribute to your husband Jim and the struggle you had to live and to allow him to die with dignity. As someone whose much-loved dad suffered a similarly awful illness and death, I found your story of the day-to-day challenges, the frustrations of the sometimes indifferent, thoughtless, unhelpful, baffling, medical professionals, prescriptions, systems and your need to keep battling on simply remarkable. Heroic is not too lofty a description. As someone who spent years working professionally with critical care home care nursing staff, I can state wholeheartedly that this is a book that should be required reading for health care professionals and caregivers of all kinds. We all need to be concerned with both quality of life and quality of death at its end, for ourselves and for the people we care about. Your heart shows on every page, and I wish I had known Jim better, longer. The Jim you show us through your memories and stories was obviously a wonderful person. I look forward to publication and I will be recommending your book to so many people who would benefit from reading it. I began reading the book on my phone and could not wait to get home to continue reading on a full-size screen. I read straight through, not even stopping to eat except for a bowl of cereal so my distraction would be limited and I could continue reading while eating. I was informed - learned a lot new. I laughed, I cried and was incredibly moved by this true and touching story. For me the book is an incredible love story. But, the book is also a must read for anyone experiencing family or friends with dementia. The reader will learn about love, compassion, commitment, and also about the practical things that one needs to know and consider about care, resources, the healthcare system and human dynamics. All doctors should read this book along with leaders and caretakers in healthcare organizations and institutions. Our populations are aging in many parts of the world and healthcare issues such as dementia will be on the rise until cures or better treatments are found. 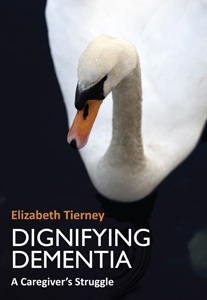 Elizabeth Tierney dignifies dementia and can help others do the same for those they love and care about. The healthcare system and providers can also learn to bring dignity to the families and those who suffer from terminal illnesses. 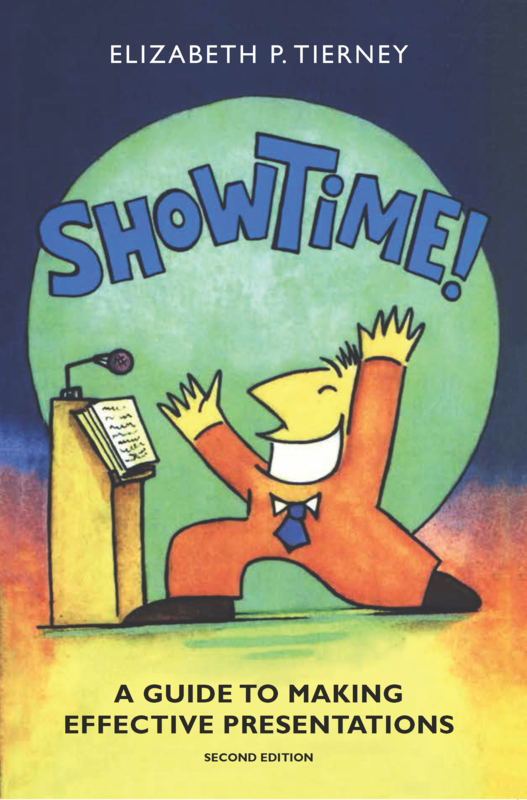 This is a book for everyone. Congrats Elizabeth and kudos to Oak Tree Press for recognizing this gem! My heart goes out to you and all those who have come before and after who must deal with not only the illness of the one you love but the failure of the medical system to provide care and support. You are very brave. After reading a story like this you truly understand “until death due you part”. It should be required reading for medical students, nurses and care givers of any kind including nursing home aids and administrators. DIGNIFYING DEMENTIA is a powerful, beautifully written account of the author's nine-year battle to care for her husband, a sufferer of Lewy Body Dementia, at home, in the face of a less than supportive medical establishment. Elizabeth Tierney's book is moving, harrowing, fascinating and instructive - it highlights the need both for more compassionate and involved medical professionals, and for educating and training the people we hire as home health aides. It is also the story of one woman's determination to honor her husband's humanity and how she succeeded against all odds. Finally, it is a triumphant love story.